“Because of one snake we kill them all” is the Mamprusi proverb that gets thrown at me every time I ask locals not to kill a snake because it is harmless. And I get it, everyone around Nalerigu knows someone who was bit by a snake and some even who died from them. 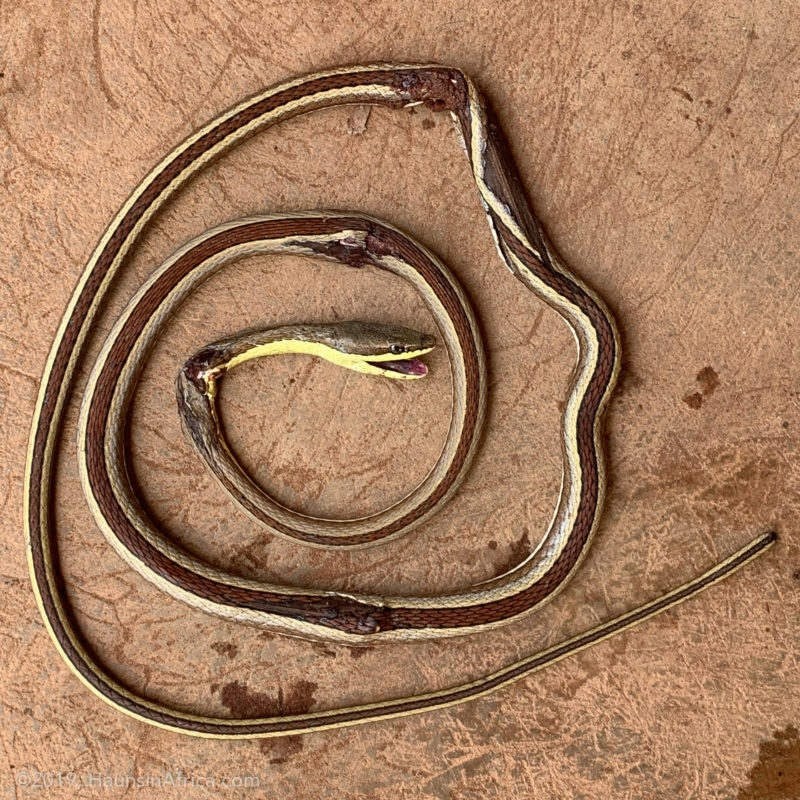 Nonetheless, Psammophis Elegans, or the elegant sand racer, is a beautiful and harmless snake found in tropical Africa. 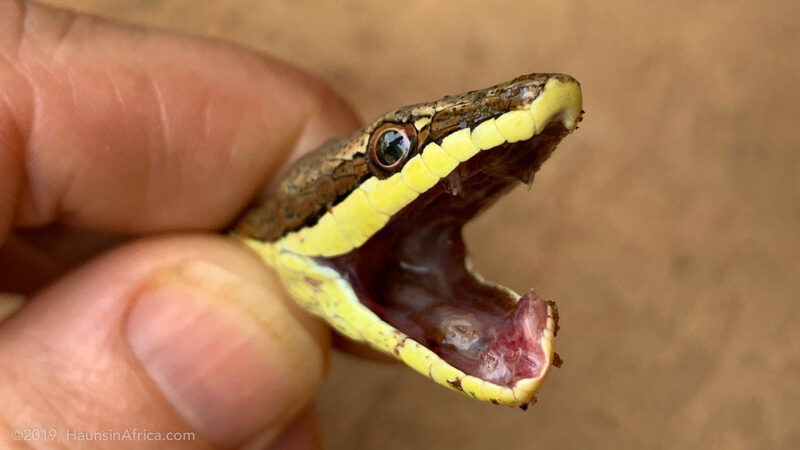 It is a species of lamprophiid snakes which means that it has a mild venom delivered through back fangs meant to paralyze the small lizards and rodents in its diets. 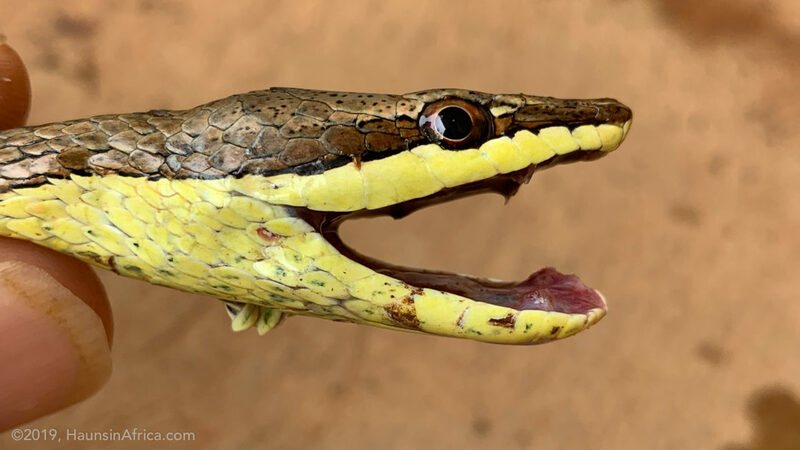 This snake could only inject a human with venom if it managed to open its mouth enough to bite a digit. 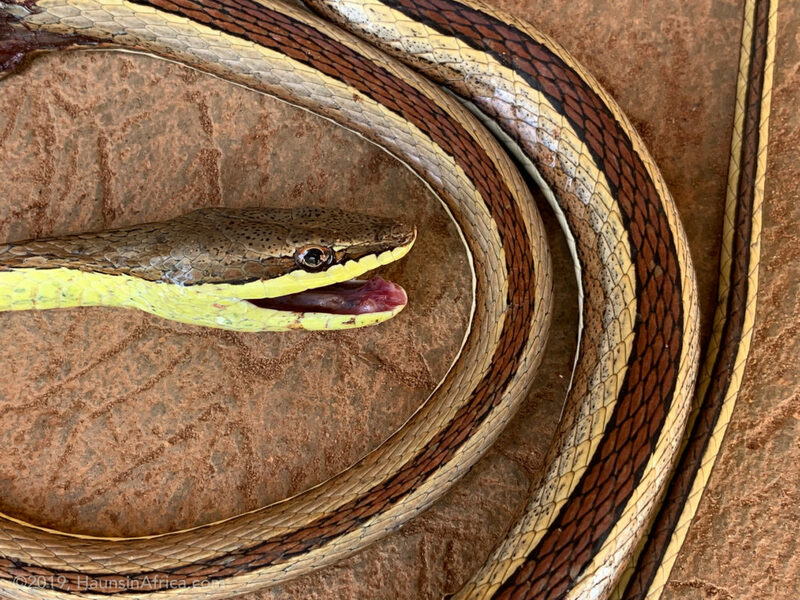 One researcher even allowed that to happen and documented his body’s reaction to the Psammophis’s bite in great detail. 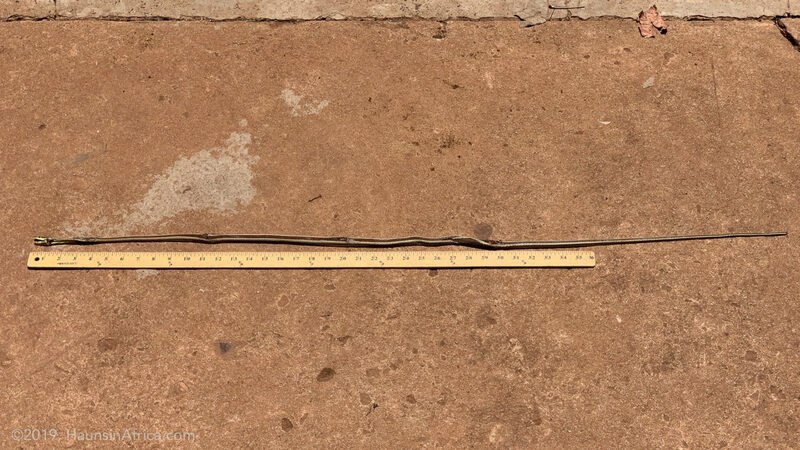 Much to my dismay, workers have killed three of these snakes around my house. I plead with them not to but they can’t help it – fear wins. 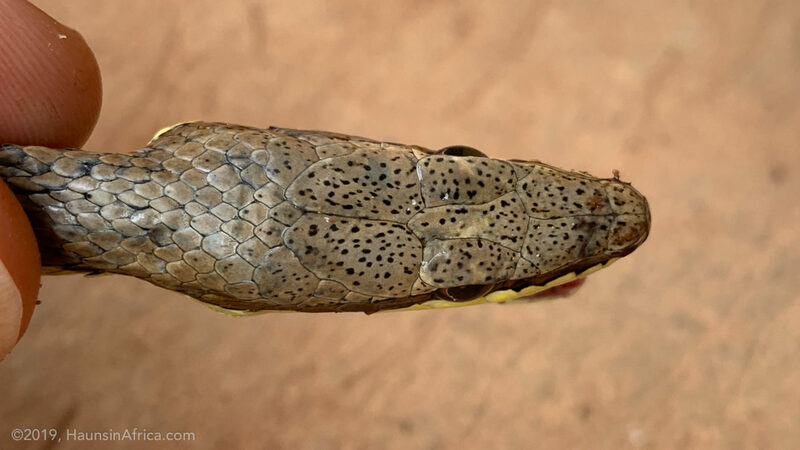 Interestingly, the snake’s Mampruli name also identifies it as beautiful and harmless. The elegant sand racer is called wa’asamiiya which would translate as “snake with women’s waist beads.” Samiiya, or waist beads, are worn as a fashion accessory by women.